Nikki Maxwell finds out her crush, Brandon, volunteers at an animal shelter. This doesn’t surprise her one bit because he is such a nice guy as well as being so cute. Then he tells her the shelter is going to have to close. Nikki thinks this is terrible and comes up with a plan to win the ice skating competition and use the money to keep the shelter open. There is just one problem, it turns out that Nikki can’t actually skate, in fact she can barely move on the ice without falling over. Her BFF’s Zoey and Chloe are great and Nikki is afraid she is letting the team down and she doesn’t want the animals to lose out because of her. On top of all that her sister Brianna is causing all sorts of trouble and MacKenzie is being a total pain. Will Nikki be able to save the shelter and help Brandon? 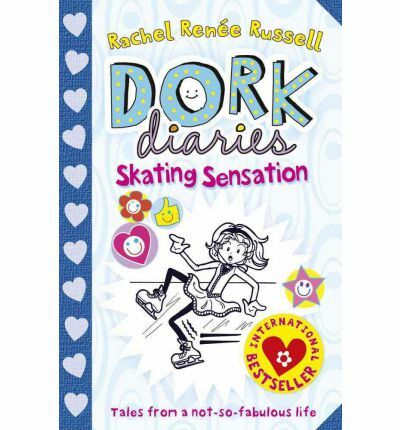 The Dork Diaries, like the Wimpy Kid series, are a lot of fun. Nikki is an entertaining character with a totally embarrassing family. Brandon is a cool guy to have a crush on, cute but smart, there can never be enough of those guys. MacKenzie is the requisite popular girl and has one heck of a nasty streak which causes Nikki huge problems but she always overcomes. Nikki also has wonderful friends who support her and like her in all her dorkiness. This series has more relationship stuff than Wimpy Kid and I think that’s were the difference betweens boys and girls really starts to show however it needs to be said that there is nothing inappropriate in these books. Nikki is a character I like spending time with, though Brianna could really do with a better understanding of the word no.